UPDATE: Barakat successfully underwent the heart surgery earlier this month. He is now home and well. Thank you for your generous support. 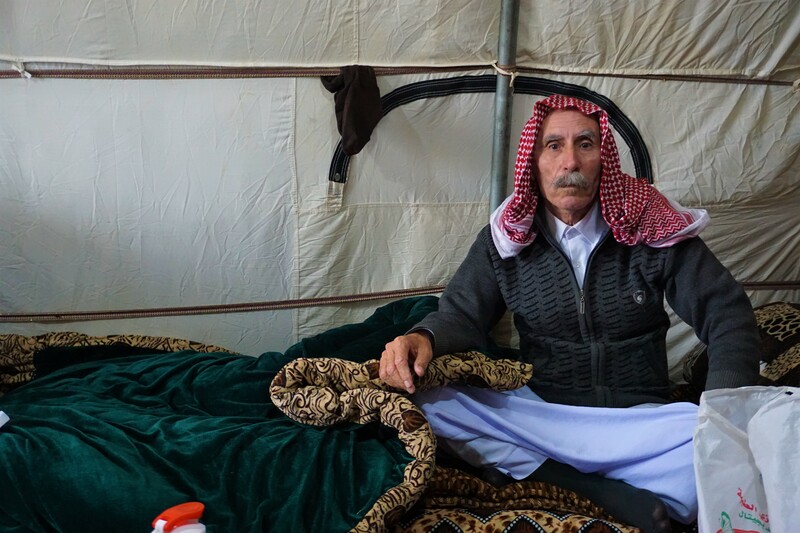 Barakat is 69-years-old from Tel Azar in the Sinjar mountains. He fled Sinjar in 2014 with his family, heading towards the Syrian border first. Though they began the journey by car, they quickly ran out of fuel whilst in the mountains. They were forced to walk the remainder of the way. At the border, buses collected the fleeing Yazidis and relocated them in the Duhok governorate of Iraqi Kurdistan. 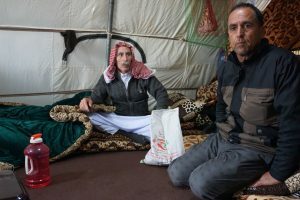 Barakat his wife and eight children spent 4 months in an abandoned shop in Zakho before moving to Sharya where they now live. As they do not live in a registered camp, the family do not receive any governmental support. He and his family now live in a small tent in an informal IDP settlement 15 minutes out of Sharya village. Barakat suffers from ischaemic heart disease. This volatile condition could prove life threatening. He urgently needs a cardiac catheterization and balloon angioplasty. Nobody in his family receives a stable income, nor is he able to work due to his age and physical condition. We will be helping Barakat cover the cost of the operations, but we need your help to do so!